This vase originates from the Galicjan glassworks located in Poland. 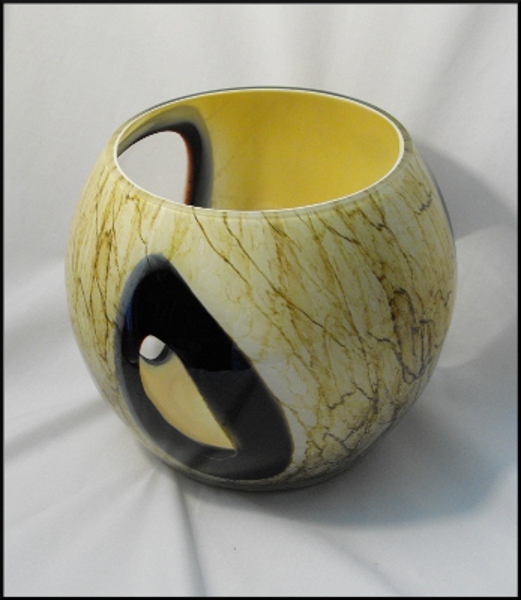 It is shaped as a slick, round bowl, patterned to remind marble. Distinctive, are the three transparent, oval windows with black borders. The windows make the vase even more decorative and functional.